The Developer Preview for Android L has only been announced a couple of days ago, and yesterday it became available for developers to download and play with. 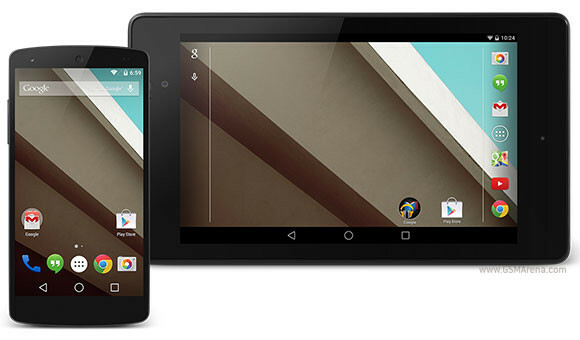 So far Google has posted factory images just for the LG Nexus 5 smartphone and the Asus Nexus 7 (2013) tablet (in its Wi-Fi-only iteration). And today both of those have been rooted by the enterprising Android tinkerers out there. So if you own either the Nexus 5 or Nexus 7 and have the Android L Developer Preview loaded on your device but wish you'd also have root access - this is for you. According to well known Android developer Chainfire, only a few very easy changes are required to his SuperSU flashable zip in order to make it compatible with Android L.
Thankfully, the folks over at The Android Soul quickly jumped in and made the necessary adjustments, and even verified that the brand new SuperSU zip they provide does work just fine on the latest version of the OS. To install SuperSU, you first need to have a custom recovery. Don't worry though, for that's an easy thing to get, as is acquiring root afterwards. In fact, the entire procedure is painstakingly explained over at the Source link, so if you're interested make sure to hit that and get all the info you need. Needless to say, you'll find the download link to the newly patched SuperSU over there too. ISO copy from android since ios7... re-check your os again. i received android 4.4.4 u[date two days ago on my nexus 7. and play store is not working even after resetting my set. is any other friend experiencing same prob?